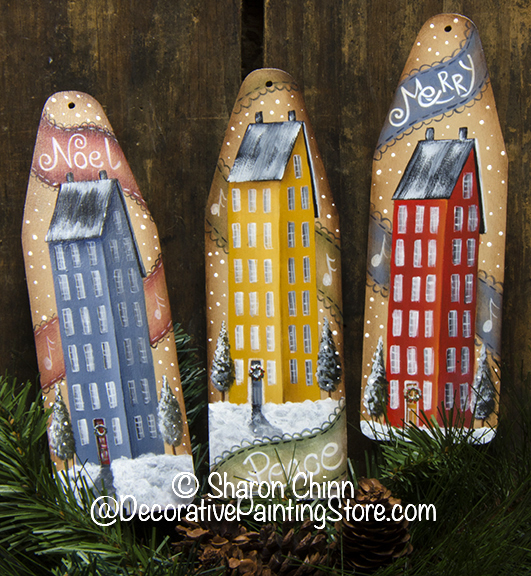 Mini Ironing Board ornaments with prim saltbox winter scenes... painting on 8" mini-ironing board shapes. 4 page booklet includes photos, instructions, supply list, and line drawings to trace. Traditions Acrylics with conversion chart to DecoArt Americana.